Anyone confirm these are typeS? I thought they where straight up and down but this looks like they are pitched at an angle. Also, I can't search the form on my blackberry so I will just ask. Will my preludes tires fit the stock rsx wheels? pretty sure those are base wheels, not type s.
Upon doing an image search of that image it appears the seller may have used it for illustrative purposes which is weird since those are the base. Do you know if the prelude tires would fit on the type-s? Those are base 16's. 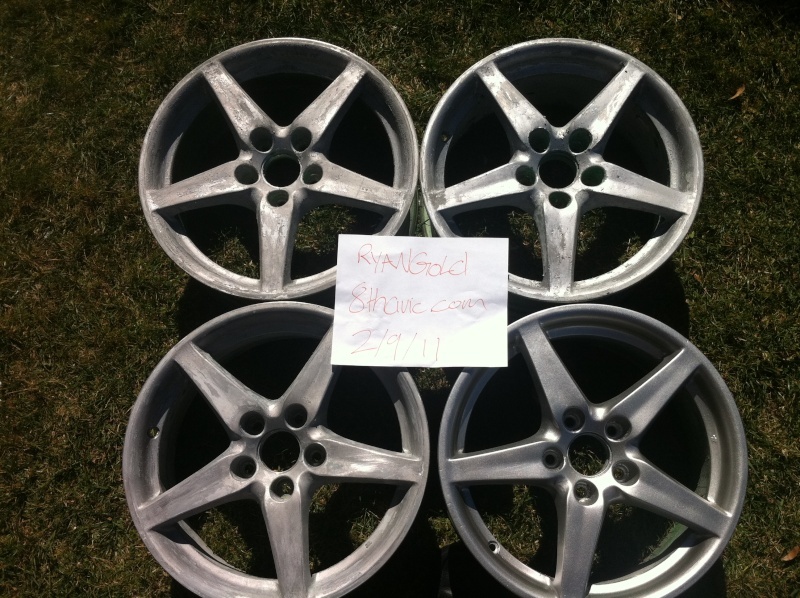 I believe its still 16x7 so it should fit if your OEM prelude tires are 16's.